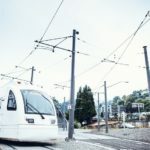 PORTLAND, Ore. – Today Cascade Policy Institute released a report that recommends TriMet pursue a one-year pilot program which replaces one or more high-cost and low-ridership bus lines with ride-hailing services. The program would be supported by a subsidy funded by the costs saved by eliminating the bus line. The report, Ride-Hailing as a Solution for TriMet’s High Cost Bus Lines: A Proposal for a Pilot Project, was authored by Eric Fruits, Ph.D., an Oregon based economist and Portland State University adjunct professor. The proposed pilot program would offer riders point to point service from ride-hailing companies like Uber and Lyft within a ride-hail zone, when and where within the zone would be most convenient to the rider. The two high-cost bus lines suggested by Fruits include lines 97 (Tualatin-Sherwood Rd) and 63 (Washington Park/Arlington Hts). These lines intersect other bus lines and MAX stops, so the proof of the transaction should be used as a 2.5-hour TriMet pass. Doing so would allow passengers to connect to other buses or light rail in the area. Cascade President and CEO John A. Charles, Jr. stated, “TriMet should embrace the benefits ride-hailing services offer instead of viewing them as a threat. 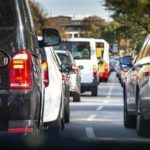 Pairing services like Uber and Lyft with TriMet’s bus services would give riders a convenient and affordable way to commute while saving TriMet considerable money.” Indeed, the cost of subsidizing 75% of a user’s ride-share fare would be 55% lower than the current cost of operating proposed bus lines 97 and 63. This proposal comes with its own set of challenges in the form of barriers to access. Services such as Uber and Lyft are hailed through an app on an individual’s smartphone and paid for by linking an individual’s bank account to the app. Some TriMet users do not own either a smartphone or a bank account. Jurisdictions which have adopted similar programs have handled this challenge by creating call centers available to riders without smartphones and by giving unbanked riders prepaid gift cards. Ride-hailing services also contract out wheelchair accessible rides to third-party companies which would allow disabled riders to continue to commute in the corridor. 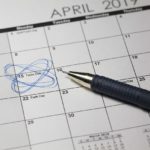 Similar pilot projects have been implemented in cities across the United States as transit authorities have recognized and taken advantage of the benefits ride-hailing services offer. TriMet should follow suit and engage in a low-stakes, one-year pilot project in order to cut costs that are rising due to declining ridership in certain areas. Doing so will serve riders, TriMet, and taxpayers alike. The full report, Ride-Hailing as a Solution for TriMet’s High Cost Bus Lines: A Proposal for a Pilot Project, can be downloaded here.